Founded Advantage Inspection Service in 1988, a company that has performed over 65,000 home & commercial building inspections. 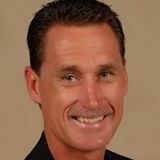 Primary author of the Arizona Home Inspector Licensing statute in Arizona. Serve as Designated Lobbyist for the Arizona Home Inspectors Coalition, an organization that influences state licensing activity. 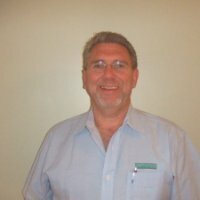 Licensed as a Home Inspector, Termite Inspector and Real estate Salesperson in Arizona. Serve on multiple committees at the Arizona Board of Technical Registration to assist in the regulation of home inspectors. Member and former national board member of the American Society of Home Inspectors (ASHI). Former President of the Arizona ASHI Chapter. Provide training to home inspectors locally and have presented to national audiences. Specialties: Primary author of the Arizona Home Inspector Licensing Statute, serving as Chairman/ Designated Lobbyist for the Arizona Home Inspectors Coalition, an organization that influences state licensing activity. David Swartz is being interviewed by Preston Sandlin of Home Inspection Carolina and Ask the Charlotte Inspector. 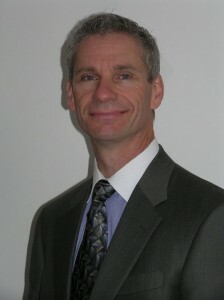 David Sherwood (Owner) , began doing home inspections in 1982. Over time David developed a procedure for evaluating residential properties that is now used industry-wide. Since 1982 David has inspected over 15,000 residential and commercial buildings. While working as an inspector, Dave studied building diagnostics and building sciences, and continues to do so, keeping himself up-to-date on the ever-evolving standards and norms. David teaches this information to his inspectors during bi-monthly staff trainings, and is hired to teach other industry professionals around the country. David has been a trainer for the EPA radon program, and is currently the lead trainer for the EPA in mold and lead. His unique teaching style combines in-depth information with a dynamic personality to create classes that are both informative and accessible. Every inspector at Sherwood Inspection Services, LLC is trained by David both in classroom-style training classes, and through supervised and targeted field work. Through this training program David has produced some of the most qualified home and commercial building inspectors in the country. In addition to building inspectors, David is a certified mold and water intrusion expert, holding the ESA’s highest certification for mold testing. He has developed a unique procedure to trace water intrusion back to the source of its entry, allowing for more accurate and extensive clean-up, and a lower incidence of reoccurrence. David teaches this procedure to all of his inspectors, as well as many inspectors nation-wide. When David created Sherwood Inspection Services, LLC, he had a vision for a home inspection company that would be thorough and professional, while simultaneously making the information easy to understand for buyers, sellers, home owners, and realtors. He envisioned reports that would be clear and accurate without being dramatic or alarmist. Today, Sherwood Inspection Services, LLC, works to ensure that our clients are getting the best possible information, in an easy to understand manner. Our inspectors happily answer any questions during the inspection or at any time after, and we offer phone consultations for free for any past client. David takes great pride in his company and actively works to ensure that all of our clients are satisfied with the work that our inspectors do. He works tirelessly to ensure that our inspectors have the best and most extensive information available in the industry.